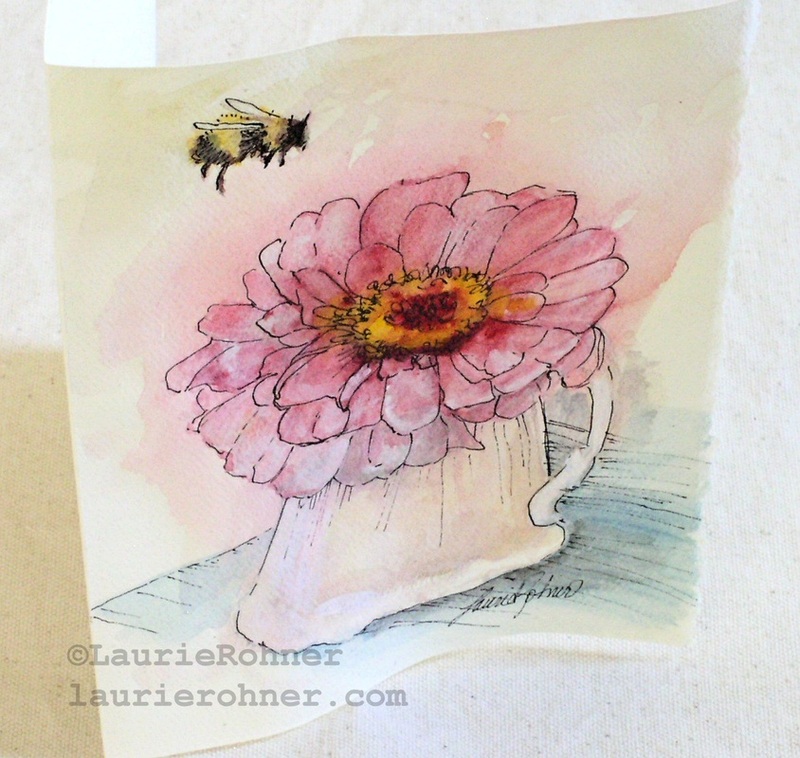 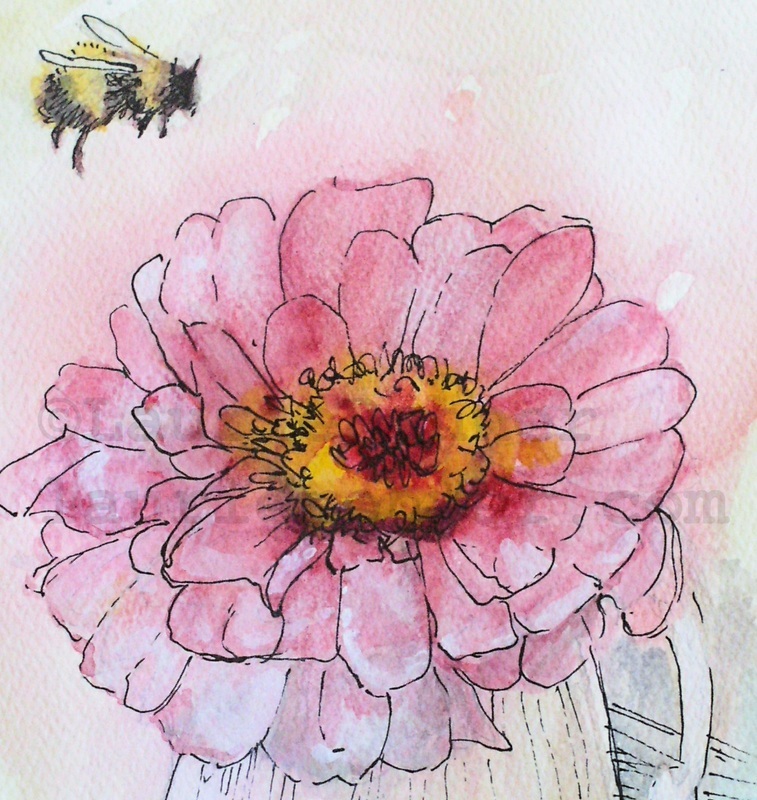 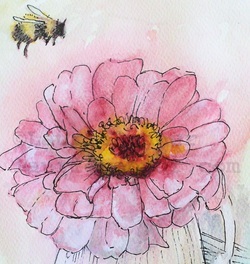 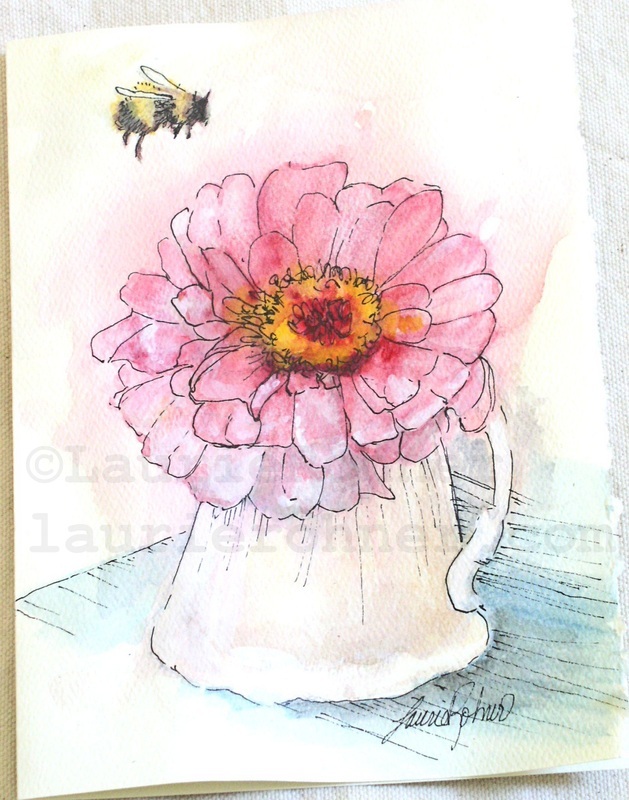 SOLD A pink zinnia in a cottage vintage pitcher sits on top of a weathered table and a bee buzzes by to check it out. 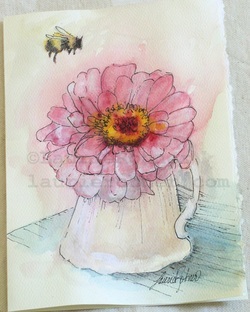 This is a nature art original watercolor card and is blank inside ready for your notes. 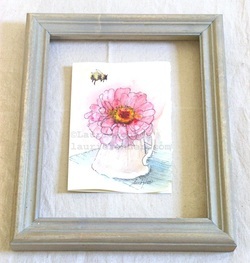 What a lovely way to say thank you for being you on Mother's Day Birthdays or any time of the year. 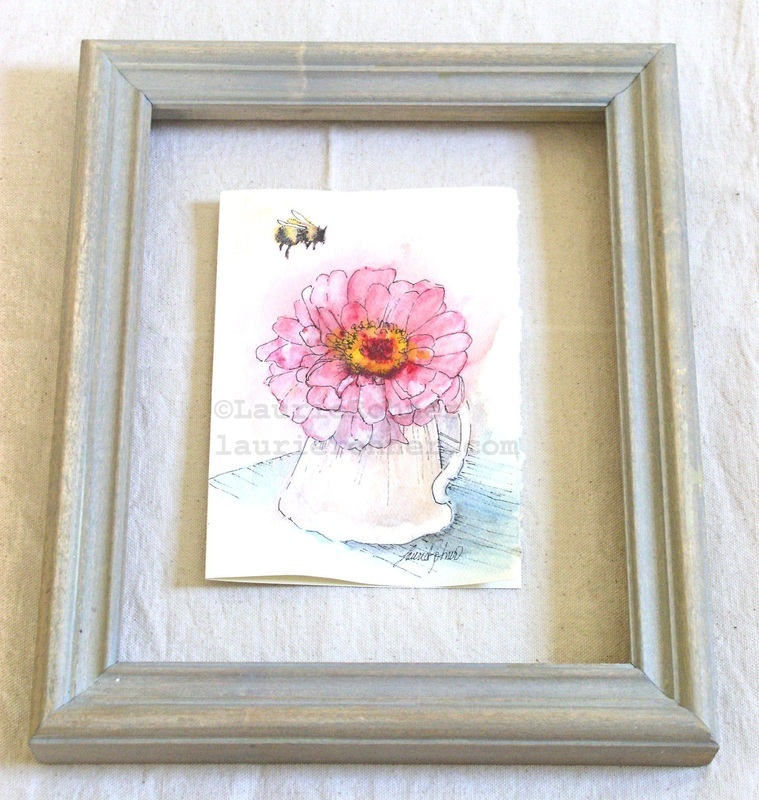 Great to give with a frame ready to be popped in and hung as a loving reminder.